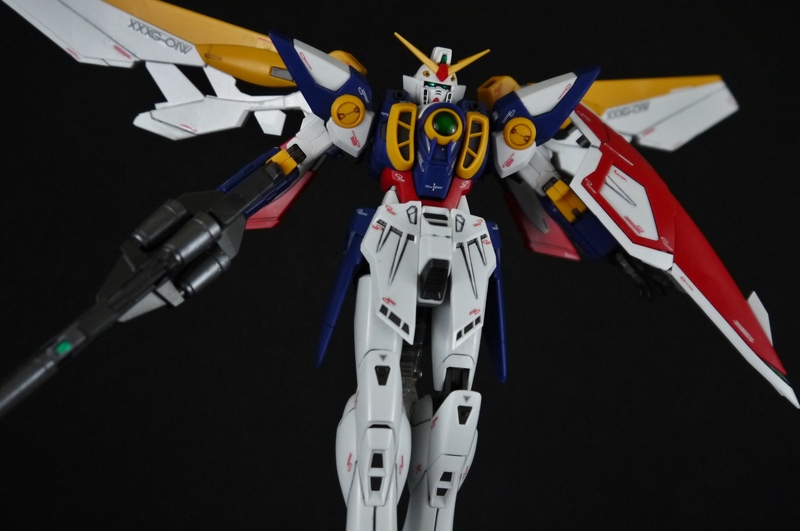 MG Wing Gundam T.V. Ver. Quite possibly the oldest kit that’s still in my collection (build-wise, not actual kit release wise) and hasn’t been sold off. 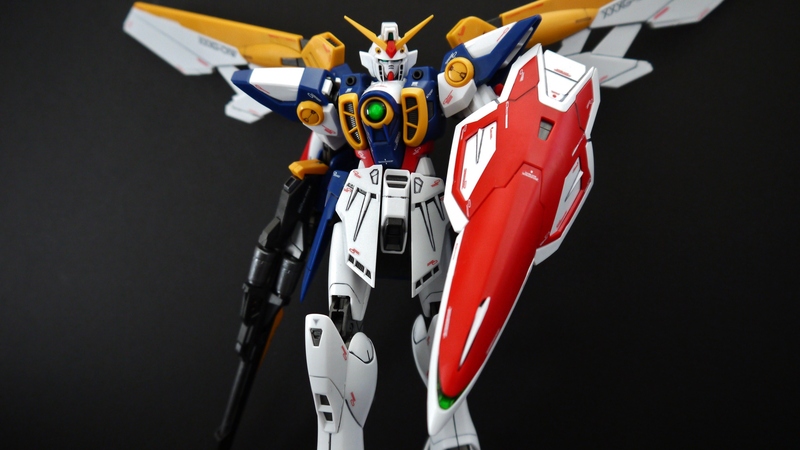 I remember getting this kit at an Anime Expo many years ago, from the Bandai/Bluefin booth. Many kits have come and gone since I put this thing together, but somehow it managed to survive getting sold off, despite my acquisition of the MG Wing EW collection pretty much allowing me to do so. 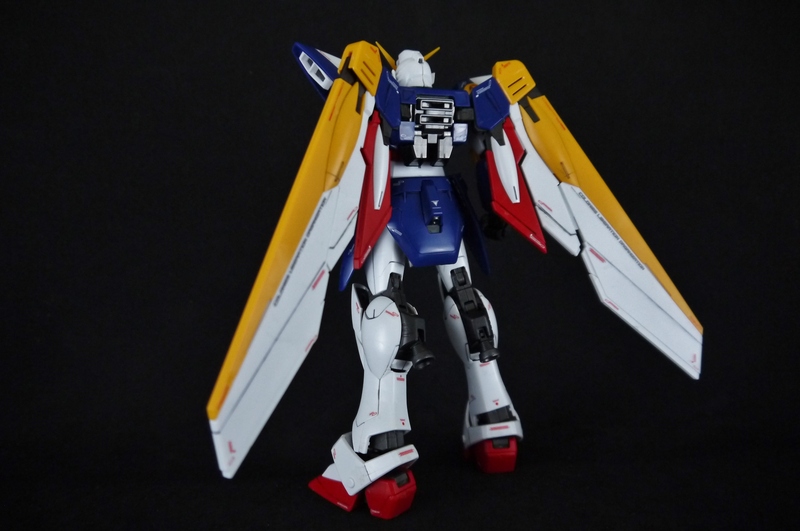 This Wing, unlike the MG EW Version, is a slight redesign of the original Wing Gundam that appeared in New Mobile Report Gundam Wing. 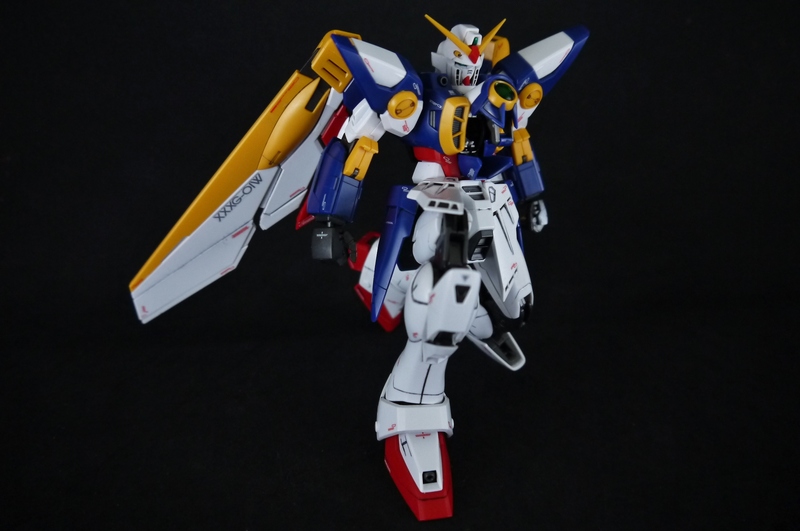 It’s been updated to look much more slender and steamlined than the original design, though it took a decade for it to receive a proper MG treatment. 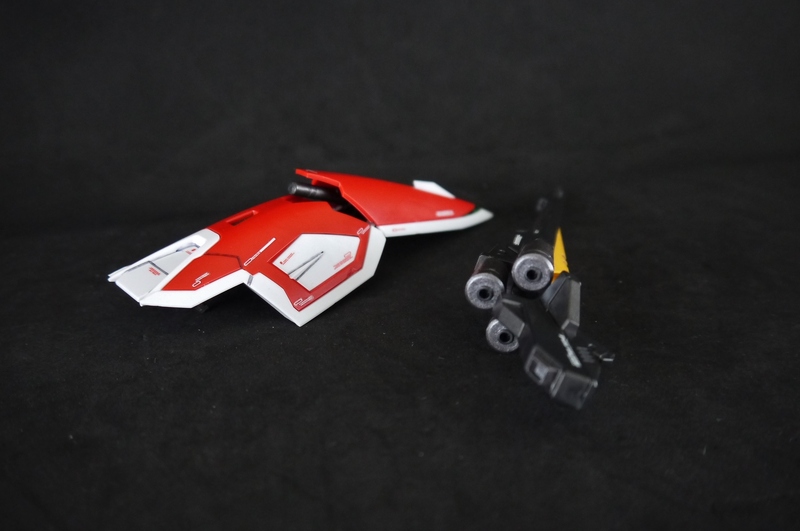 The inner frame of this kit comes in a metallic-like gunmetal plastic. 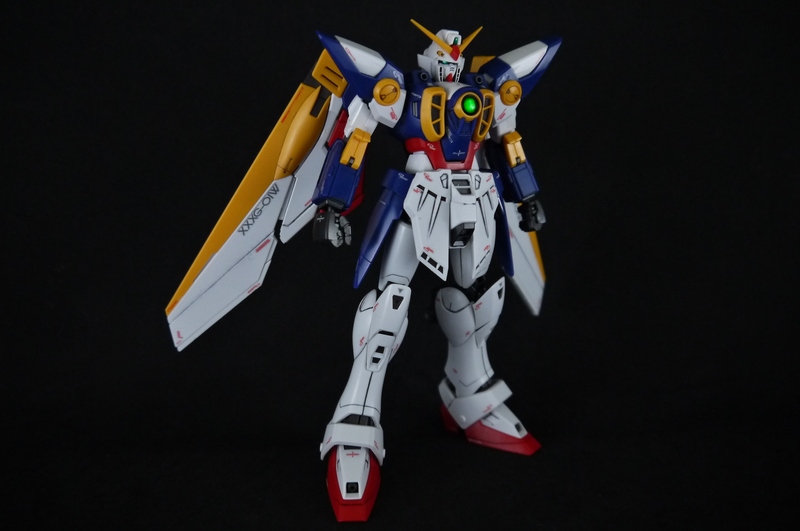 If I remember correctly, the Wing Gundam is actually a whole two meters shorter than the original RX-78-2 Gundam (not quite as short as the F91 but close to it) which would explain why this kit actually feels rather small. I also just need to point this out – Wing has one of my favorite opening cockpits ever. I love its design for some reason, it just looks so well done, one of the kit’s more subtle but endearing gimmicks. As far as articulation goes, Wing is pretty well-rounded; the limbs all have a very good degree of motion. Even the elbows, which in the past have always been hindered by the yellow claws on the forearms, can bend pretty far now that the claws in question can actually move. 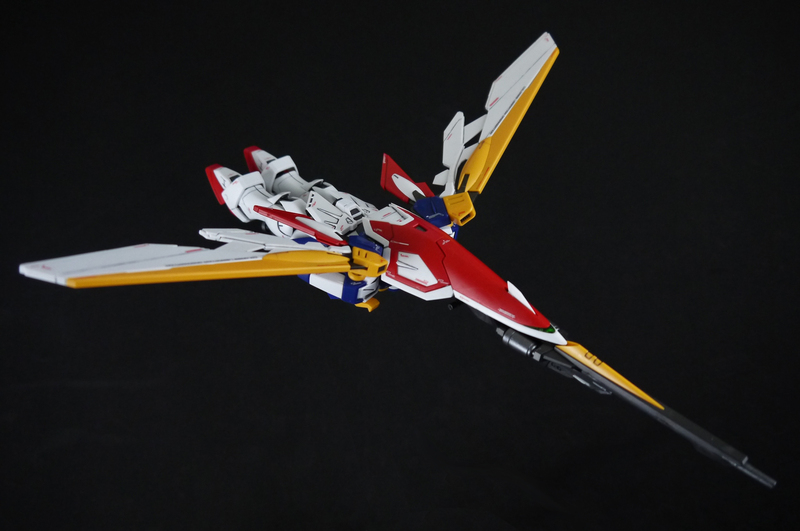 And of course, at long last we finally have it – a model of the Wing that can actually expand its wings as it should. 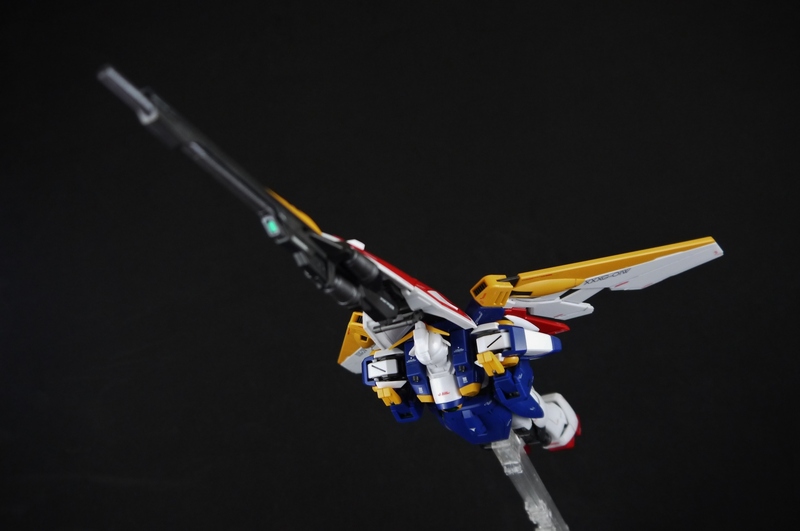 The backpack itself can pivot upwards, along with each of the wings on their individual joints. All in all it just gives me reason never to pose it off of an action base again. Wing’s weapon layout. Not too much; no ammo packs or anything, just the bare basics for a multipurpose suit. Despite not having much though, I do actually really like the weapons; the opening shield for beam saber storage is an awesome touch, much better than having the saber stored under the shield. The beam cannon can also open up for removal of the ammo packs, which I painted all gunmetal gray. Wing’s main weapon, its beam cannon, is extraordinarily easy to wield. Unlike the EW Version‘s cannon, this one isn’t insanely long and can actually be secured in the arm rather than relying on floppy, loose fingers to hold it together. The key to this little trick is that yellow claw on the forearm – it actually flips forwards and locks to the end of the beam cannon, therefore keeping the gun rigid against the forearm. I personally think this is an incredibly ingenious design; it solves an age-old problem that’s always plagued this particular mobile suit. 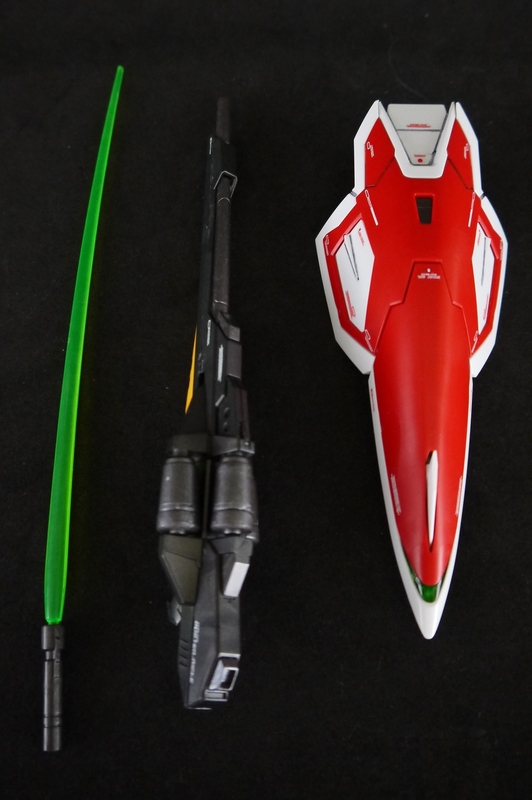 As I mentioned before, the shield storage of the beam saber is a really nice touch; the saber actually pops out a bit as you push the shield nose down. I believe you get two beams but only one hilt. While there’s no peg connection from the palm to the saber hilt, it sits nicely in the hands and won’t slip out easily. And of course, Bird Mode. This model actually has a special feature – it can actually levitate without the use of a action base! 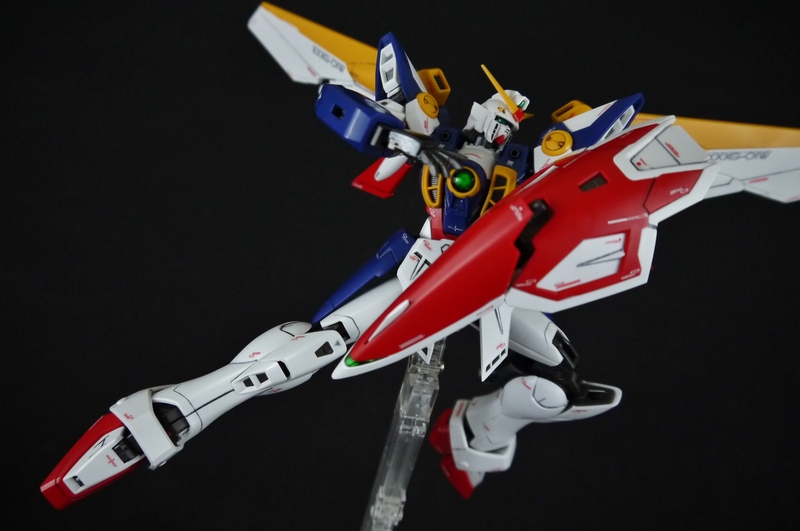 Quite the revolutionary step for Bandai as far as Gunpla goes – see how it’s just floating there? The key is a special anti-magnetic levitation piece that you attach onto the bottom of the Wing when it’s in Bird Mode. I’m not sure what kind of black gipsy magic it uses, but apparently it can only be used while in Bird Mode and not MS mode; the manual for this crazy thing is all in Japanese, unfortunately. Or naw. Bad photoshopping could also do the trick, but calling it a special anti-magnetic levitation device just sounds so much cooler, no? I’ve never really had a thing for mobile armor modes on mobile suits, but I have to admit the Wing doesn’t look half bad. The transformation is ridiculously simple of course, and I actually remembered more about transforming it from watching the TV show (the constant Wing transformation stock footage of it turning its waist and head…it stuck with me) than out of any previous experience with changing the kit before. The wingspan is impressive in this form, and of course the suit is now extremely long with a giant cannon tacked on as the nose of the jet. 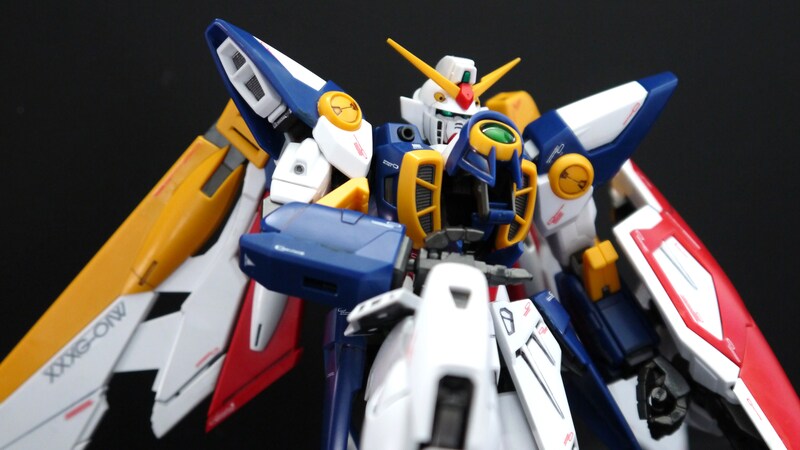 So all in all, I gotta say this is just about the best version of the Okawara Wing out there – after over a decade the original Wing Gundam that we’ve grown to love from the popular TV series has finally gotten a presentable MG treatment. 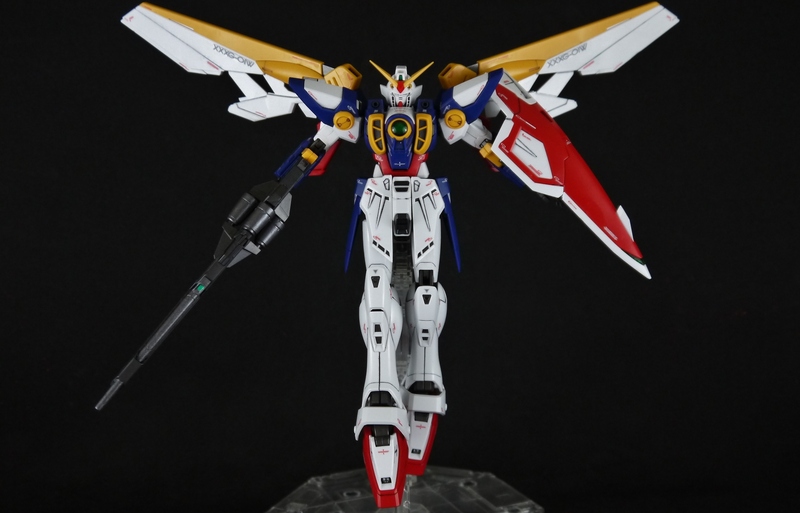 I find it ironic that the Katoki Wing that never even made it into any sort of animation got a MG years before Bandai finally decided to revisit this design. Too bad none of its sister units were released though. Is your kit unpainted especially those yellow-orange parts? Looking at the runners, I don’t really like that yellow-orange. So I’m planning to paint those parts with yellow or golden yellow. Did you put semi-gloss or gloss topcoat on it?